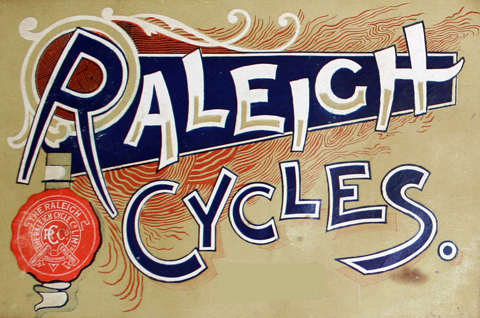 The badge on this Raleigh Cross-Frame is unique to 1900-1901 Raleighs. Other Raleighs of this era were fitted with a transfer rather than a metal badge. Compare below the 1901 catalogue illustrations for the ‘Cross (X) Frame Raleigh Light Roadster Model 20D’ and the Gentleman’s Modele Superbe No 20A. The difference appears to the chaincase. This example has no chaincase, and no damage on neighbouring tubes to suggest that it was fitted but subsequently removed. So I assume this is a Light Roadster not a Superbe. The appearance of the X frame is sometimes objected to, as any departure from a standard pattern usually is; but, having become accustomed to it, I regard its appearance as more beautiful than that of the usual diamond frame. 1. I’m loathe to turn it back to its 1900 specification, ie substituting an earlier set of handlebars with inverted levers and Bowden rear brake cable, simply because I feel this upgrade is part of its history. It’s a sensible modification. If I’d shelled out my hard-earned cash for this state-of-the-art machine in 1900 and the company contacted me seven years later to ask if i required an upgrade to the latest braking system, I would obviously have said ‘yes please.’ There can be a bit too much pedantry these days surrounding the concept of ‘originality’ in classic bicycles. 2. 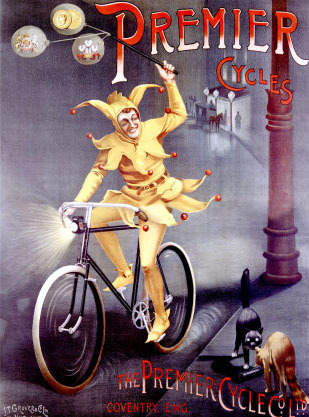 On the other hand, it’s a very rare bicycle and it would be wonderful to see exactly how this bike would have looked when new. My usual answer to such questions is to wait and see. 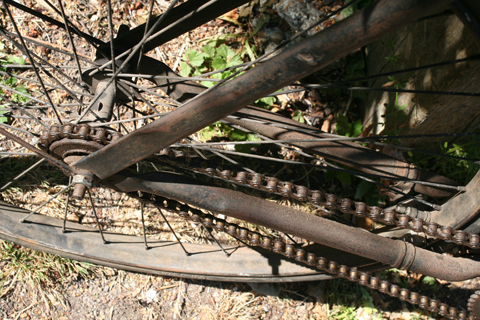 Each year that goes by I learn more about old bicycles …and locate more original ‘impossible-to-find’ spare parts. This bicycle is extremely rare; I’ve never seen another with this headbadge. The saddle may be even rarer.